One of the best charter bus providers in Ann Arbor. Our rates are comparitively cheap. Call us today to get the best rate for Deluxe Motor Coach, Mini Bus, School Bus, Party Bus, Limousines, Van and more... for any of your charter bus events. Prompt Charters is the # 1 and premier charter bus and minibus rental company in Ann Arbor. As the leading bus company in town, we provide all types of bus transportation services such as mini-coach, coach bus, charter bus, school bus and executive charter bus rental in Ann Arbor. If you need a charter bus for hire please contact us at 877 277 6678. We guarantee the best possible and prices are flexible and competitive. Prompt Charters can match the charter bus rates of any competition. Mini Bus & Charter Bus Rental in Ann Arbor Charter a coach bus or Mini Bus for your next trip in Ann Arbor. Call us today for the most affordable transportation in Ann Arbor. Based on the number of people, we have buses available ranging from 18 seat mini bus to 56 seat coach buses. 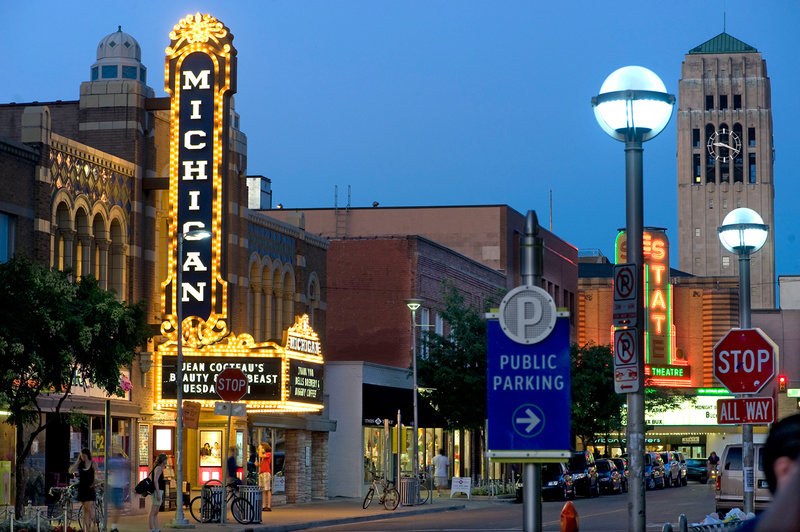 Discover Ann Arbor in one of our luxury Coach bus that offers style and comfort. If you are getting married in town, we have the best transportation service for weddings. Our mini coaches are ideal for wedding transportation such as the ride to and from reception and ceremony. If you are holding a business meeting in town, Prompt Charters has the expertise in transportation to and business meetings. 18-25 seat small shuttle buses are convenient for taking people back and forth from hotels to convention centers. Our motorcoaches are also be used that can hold 56 passengers. Ranked as the premier leader in ground transportation services in United States and Canada, Prompt Charters provide all types of transportation services such as mini bus, coach bus, charter bus, school bus and executive charter bus rental in Ann Arbor, Michigan. If you need a charter bus for hire please contact us. We guarantee the best possible charter bus rates. Our booking process is simple and our people are easy to work with. Since Ann Arbor is a colege town, many corporate events are conducted every year. Prompt Charters had teh honor managing many corporate bus transportation in Ann Arbor for many years. Planning a corporate retreat or conference can often be a tedious task. Planning the ground transportation can be even more difficult. We excel in ground transportation management for corporate clients and we have great reputation for having managed many corporate events. A Major portion of our business is corporate travel management services. Picking your employees from airport to shuttling large groups to and from large events, we do it all very efficiently. Whether you are holding a sales conference or shareholders meeting we got you covered. When it comes to corporate travel management, it has to be done meticulously and economically. Armed with a team of professionals and coupled with cutting edge technology, we will be able to do a superb job on your travel plans. School Buses are an efficient and economical way of transferring both small group and large groups. As an operator of the largest school bus fleet, we can supply you over a thousand school buses at one time. In addition to coach buses, we also offer school bus rentals for field trips, conventions, weddings, corporate events and sporting events. Although most of our school buses do not have air condition, we do have school buses with air condition. With seating capacity ranging from 48- 55, school buses are an economic and efficient way to move your group in town.